Burning Moon's Inside advice: GoSports Soccer Ball Review! My kids love going to the park so we go as often as the weather allows but it is always the same thing, we go the kids play on the play set for a bit then when they are board we go home. 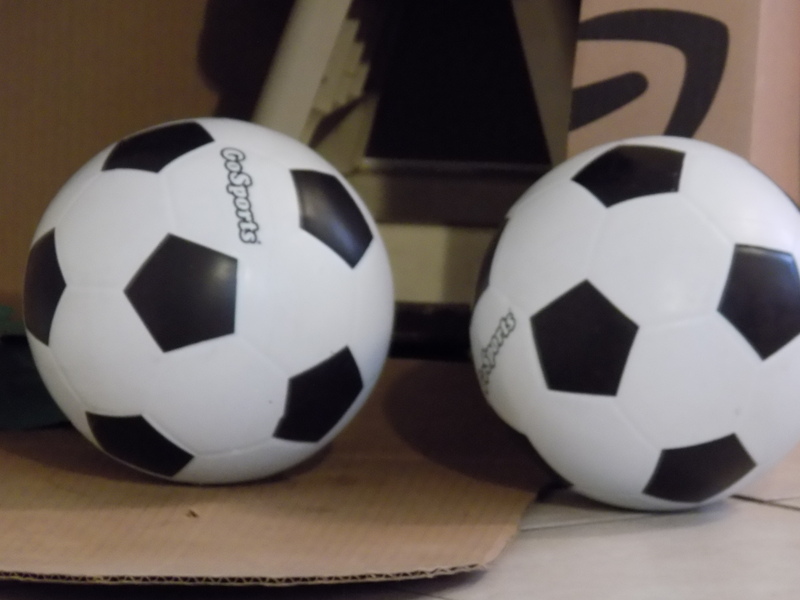 So we've been thinking of other things to do with them at the park and the kids decided it would be fun to be able to kick a soccer ball around which is where GoSports came into play. They sell a wide assortment of sports and outdoor activity sets so we were excited they agreed to a review. 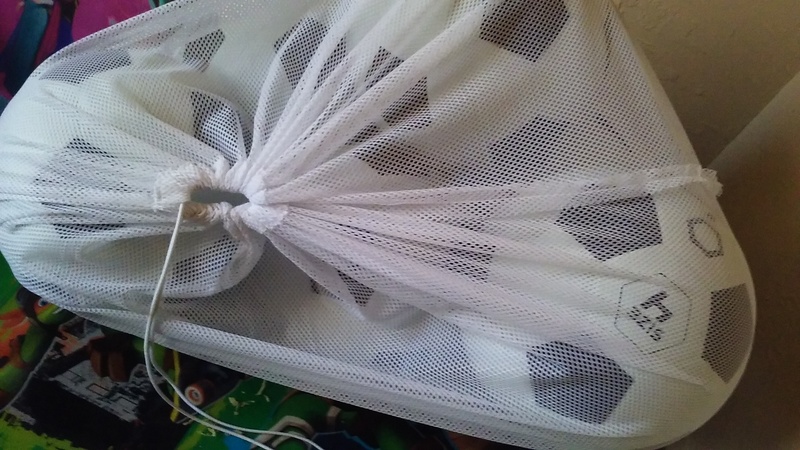 I was sent a six piece size 4 soccer ball set that came with a mesh carrying/storage bag and a ball pump. The soccer balls were really easy to pump up, my four year old was able to fill most of them by himself however the pump gave out and broke apart on the fifth ball but thankfully I had a backup pump so it wasn't that big of an issue.The soccer balls seem like they are made to be pretty sturdy and will be able to take quite the beating, we've tested these out in the yard a bit but haven't actually been able to take them out yet so the kids are excited to go out and put them to the real test. Being a size four they are the perfect size for not only the kids but for my fiance and I as well. The white of the material they used seems to stain easily so I am not counting on these staying the nice white color for long but that is a good thing because it means they've been put to use. You can find a selection of products sold by Gosports on Amazon including sports equipment and lawn games like their giant dice set you can use for backyard lawn games. 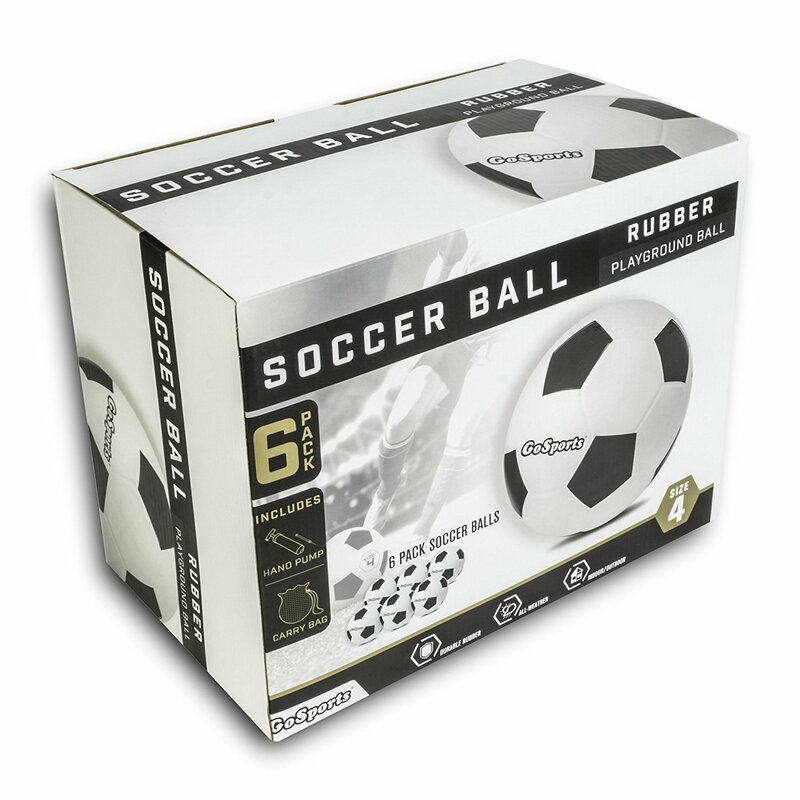 The six piece soccer ball set sells for $39.99 which comes out to about $6.67 per ball. As far as sports my favorite is basketball. But during the summer months I love water skiing because of the water. It's too hot here during our Summer's months do to much outdoors without being on the water. That is so cool that they sent you a bunch. The prices are awesome! My little cousins play a lot of different sports, soccer being one of their favorites. I love playing soccer outside when the sun is setting so it isn't as hot. My favorite outdoor activity is walking and swimming but the kids love to kick around a soccer ball. This is something that my son would love to have..
My daughter would enjoy this set.